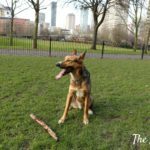 When I first moved to London from the continent, I was very impressed by the fact that, in most parks, dogs could run off-leash. That is great if you have a very-well-trained and obedient dog. 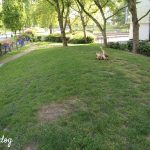 But what if your dog is not yet there (because maybe has a high drive, a bad recall, does not get along well with other dogs), or simply the park overlooks busy roads and you don’t want to take any risks? Having a dog with a high drive myself (despite our continuous training), I could not trust Argo off-leash in open parks. So I began looking for enclosed dog exercise areas and mapping them out. I will tell you more about it in this blog post! This post will be updated adding each new dog area review I publish on the blog. To keep up to date I also advise you to follow The Londog on Facebook, to be alerted when a new review is live. The first thing I found when I started looking for enclosed dog areas, was a Facebook page listing fenced dog areas across the UK. Unfortunately, the map was not comprehensive and no entries were shown for the London area. So I decided to develop my own research project. Mapping out London dog exercise areas took quite a long time. When I commenced, over a year ago, I thought that the job would have been quite straightforward. My expectations suddenly changed when I initiated my first online searches. For many Boroughs, official information was not available online, in other cases I soon noticed that it was out of date, so I could not rely on what I found. Other online sources were scattered, incomplete and completely unsatisfactory. First of all, I collected all information I could retrieve both online and from pleople I knew, and I then contacted each London Borough to confirm the existence and location of any enclosed dog areas. In the second phase I personally went and visited each dog area I had on my list, in order to check that the information was accurate, add more details, and take pictures. Until today, I visited over 35 dog areas all around London and counting. Of course Argo has been very enthusiastic about this project, having accompanied me to most of the dog exercise areas I have visited! 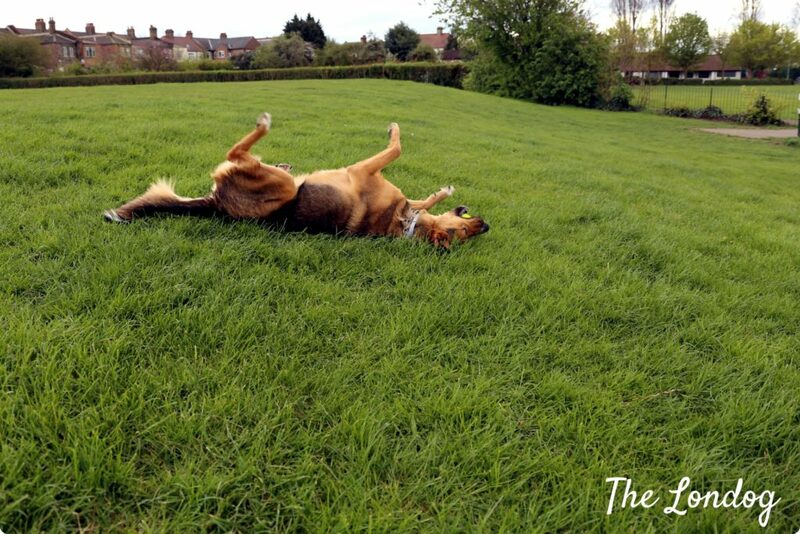 He plays The Londog’s official dog areas tester and every time he has a blast! REVIEWS. 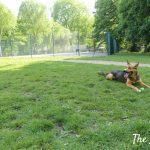 Starting from December 2016, I will share with you my reviews of the dog parks in a chosen area, providing you with all the useful information for you to assess whether they are worth paying a visit with your dog. You can find a list on the reviews published so far BELOW in this post. I hope that this will help all dog owners that do not feel confident in leaving their dogs off-leash in open areas and make their lives easier! I am always very glad to hear about your own experience and any comments you may have! So feel free to leave a comment below or get in touch at hello(at)thelondog.com! Update (3/1/2018): DEDICATED FACEBOOK GROUP. 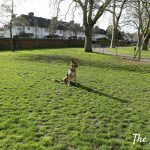 From today you can also like The Londog on Facebook and join the dedicated London Enclosed Dog Parks Facebook group to keep up to date with our reviews about fully enclosed dog parks in London, changes that may occurr to the dog areas, ongoing consultations and become part of a community! You will also have the chance to join some doggie play dates and lobby for the creation of new fenced dog parks! finally, the yellow markers indicate the areas we still need to check out, but the existence of a dog area was flagged through somebody’s tip or other researches. If you let me know the locations of any of the confirmed enclosed spaces aka ‘dog parks’ near me, I’d be happy to test them out and give you my thoughts. 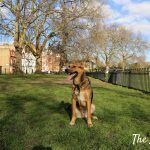 I borrow a variety of dogs from BorrowMyDoggy including a gorgeous Akita/Malamute mix, a poodle, a cockapoo, and an ex-racing greyhound. I live in Blackheath, SE3. Hi Sandie, many thanks for your message. 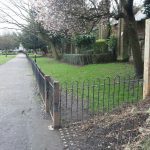 I am afraid that I am unaware of any enclosed dog areas in Dartford, however making a search on dogwalkingfields.co.uk I found that there may be one in Jeskyn Woodland, DA12 3AN. I hope this is of help. All the best. 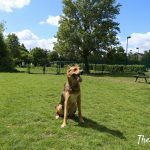 Do you know if any enclosed dog areas in or near Enfield? 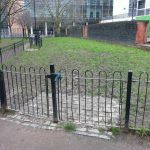 Do you have any knowledge of fenced in spaces in north London? We have recently adopted a retired greyhound, and she desperately needs a proper run, but we can’t let her off the lead in an unfenced area (yet!). The internet has come up with nothing nearby. Thanks for your help! Hi! Many thanks for your message. Lovely to hear that you have adopted a retired greyhound. 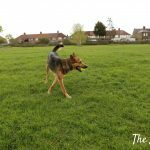 I have sent you an email with some first information which I hope could be of help, if you let me know the area you are looking at, I can provide you with a more tailored answer and tell you about dog areas nearby. Do you know of any places in brent or surrounding area. Hello! Many thanks for your comment. I have sent you an email with some hopefully useful information. 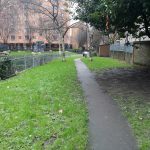 Any chance you know any areas around Hackney ( or close by)? The ones you put up in the East are about 1 hour walk away and since I don’t have a car things are tricky. Recently moved from Canada with two Labradors who were used to going to the dog park every weekend as they are not trained to be off leash. Now in Crystal Palace and cannot seem to find anything close by. We don’t have a car yet, and they would not do well on trains as they have never seen or heard one before! Any help finding a fenced in area to walk to or drive two within 20-30 mins would be appreciated. Or setting up doggy play dates as we have a big garden. Thank you so much for this blog and this wonderful information! A very excited miniature schnauzer is going to be incredibly happy! 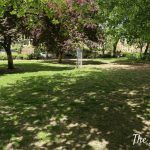 We live around Tulse Hill and walk to Crystal Palace frequently, so any other places within that area that you could recommend would be so helpful! Hi Sam, I am very glad that you find this of help! I have got in touch via email with some information that could be useful for you. Let me know if this helps at all. Hi! I am doing some research for TV programme, can you recommend any places in the Enfield / Barnet area? I’d be incredibly grateful! Many thanks for getting in touch. I have sent you a private email in this regard. Hello I am also looking for areas in north London or central. Thanks. Sure. 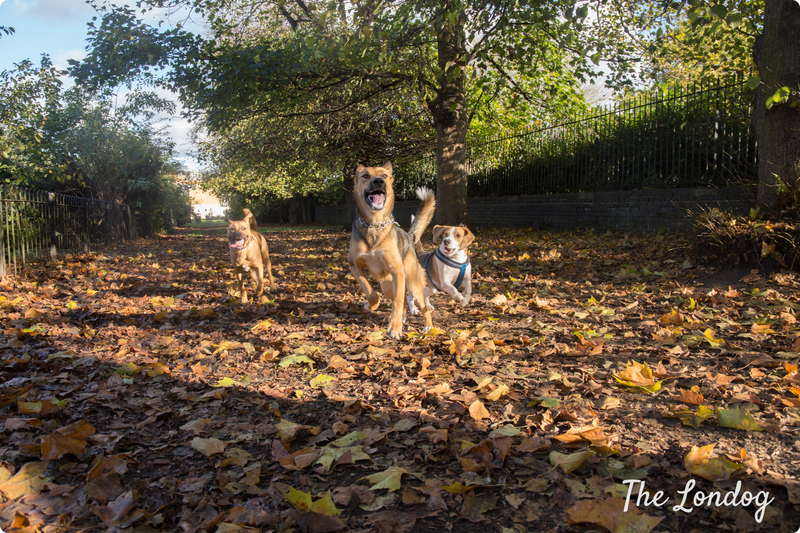 A blog post with reviews of 4 dog areas in North London will be up later this week. What area are you specifically looking at? In case feel free to send me an email at hello(at)thelondog.com and I will be happy to give you some more tips. Your blog is what I need. Really. I just got a husky puppy and (really not the best way to find out) I found from Internet husky forum that I shouldn’t let her off lead in unenclosed areas because of husky nature. So now I am worry where to go with her but you gave me hope. 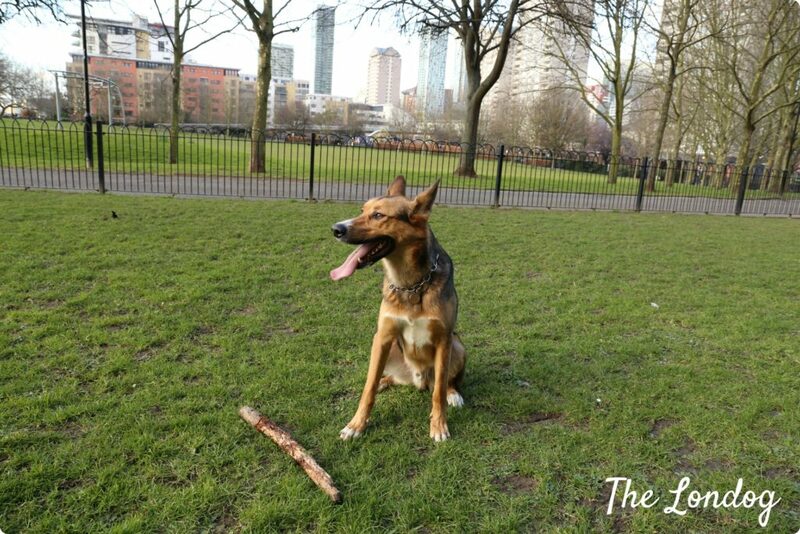 Maybe you know where is best place fenced park/field in hackney or surroundings? We moved to crystal Palace last week and are desperately looking for enclosed area to run our 2 dogs. Grateful for any recommendations please. Many thanks for your enquiry, I totally understand your struggle! I am sending you a PM, hoping it will be of help. I’d love to know about areas around Crystal Palace as well! Our cockapoo puppy loves being off lead but we just can’t trust her in an open space yet. 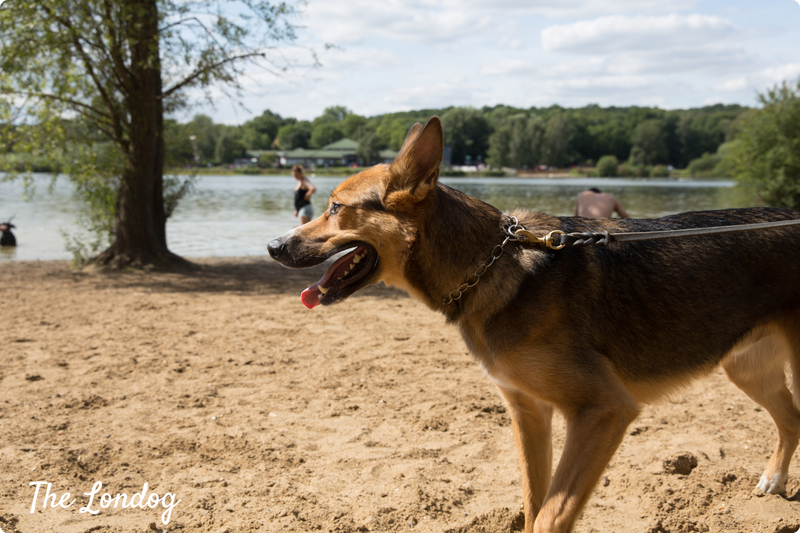 Your site is so useful for first-time dog owners – thanks! Many thanks for your message, lovely to hear this is of help! I just sent you an email with all information but it bounced back. Please feel free to get in touch again here or via social media messages so I can tell you more. I was wondering which enclosed spaces you would recommend for a retired greyhound? We’re in NW10 but will travel if it’s worth it! He needs a good run and the best we can do is the basketball court in our local park! You are very welcome. Sure, long lines are a good alternative and I have sometimes used them myself. However there are a few things to take into consideration. One thing to be extremely careful with is that there are risk involved in case your dog runs off, you hold on to the line and somebody else happens to be in the line between your dog and yourself: the other person can get seriously injured. 2) the long line should not have a handle: if you can’t step on the line in time to stop the dog and it runs off, the handle can get caught in obstacles and you can very seriously injure your dog or worse. This said, I used it in some very quiet and desert fields for training and it was of help for sure. I also have a greyhound, based in Beckenham not far from Crystal Palace on the Bromley/London border. I heard about an enclosed space where lots of greyhound owners go. Maybe near Gypsy Hill but I can’t remember. Do euther if you know, or know some other places? I have just sent you an email with all information. I hope that is of help! I too would be interested to hear if you know if more around North London, specifically Wood Green and the surrounding areas. I’ve been to the very small one in Finsbury Park, but looking for something more local, and most importantly, bigger. Thank you, and thank you for such a helpful website. Apologies for the delay in the response. 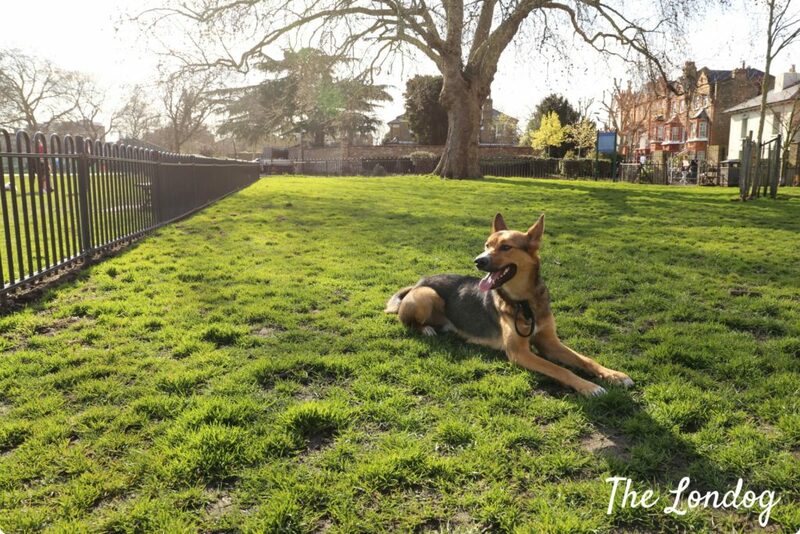 The closest dog exercise areas would Edenvale Open Space in Mitcham and Thomas Wall Park in Morden near Rosehill. The latter is very large so your dog can have a proper run. You can find them on the map in the post too. I hope this is of help, let me know in case you need any further information. 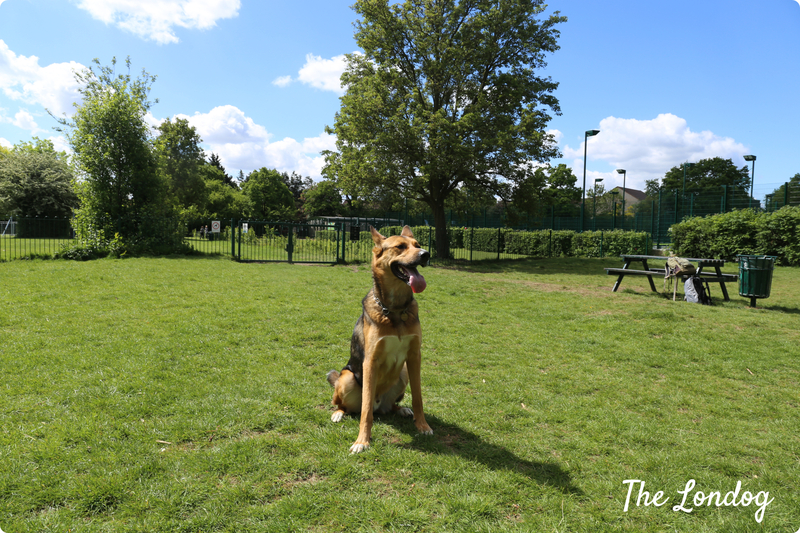 Also, may be helpful to try and ask in the London Enclosed Dog Parks Facebook group that we just created for more tips about other possible enclosed areas that could serve to the scope. 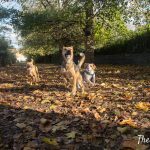 My friend found your blog, and took me and my recently adopted, 21 month old husky for a good old run around to Thomas Wall Park, its a decent size for him to run around, if you can manage to park nearby. Its a shame there’s no options for us in the Wimbledon area as all the alternative parks, have too many escape routes for a curious husky! Fantastic to hear that your husky had some nice run off leash at TW Park! I know, unfortunately not all boroughs are sensible enough to have fully enclosed dog parks. But if you know any other dog owners looking for the same we could try and get in touch with the borough to nudge a change. I have a rescue 1 year old lurcher who needs some space to run. He doesn’t have good recall when he gets running as he has too much fun running. Is there any where to let him have a run that is close to wembley/harrow/edgware? Im glad to read above that Im not the only one in this dilemma! Feel so bad not letting him off lead at the moment.